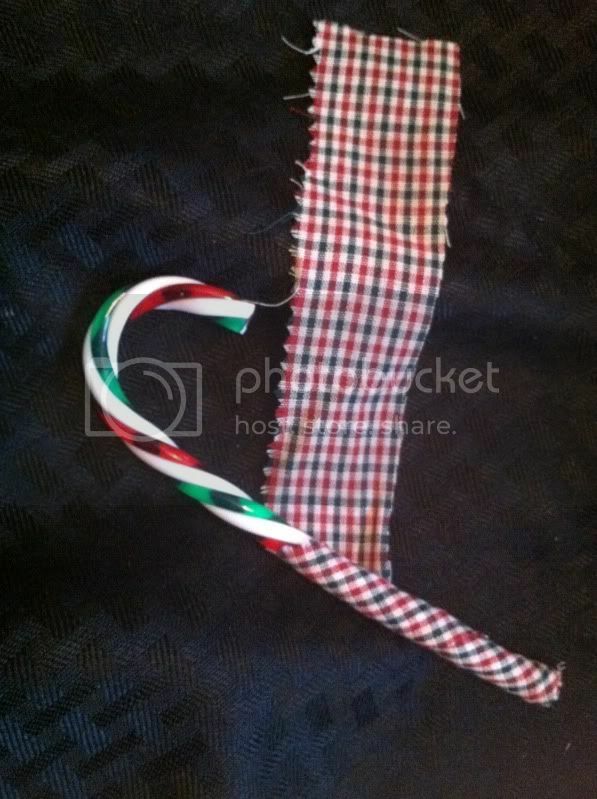 Last Christmas, I made these cute little candy canes. This year, I decided to put a little spin on it. Two candy canes, a little ribbon and some bells. 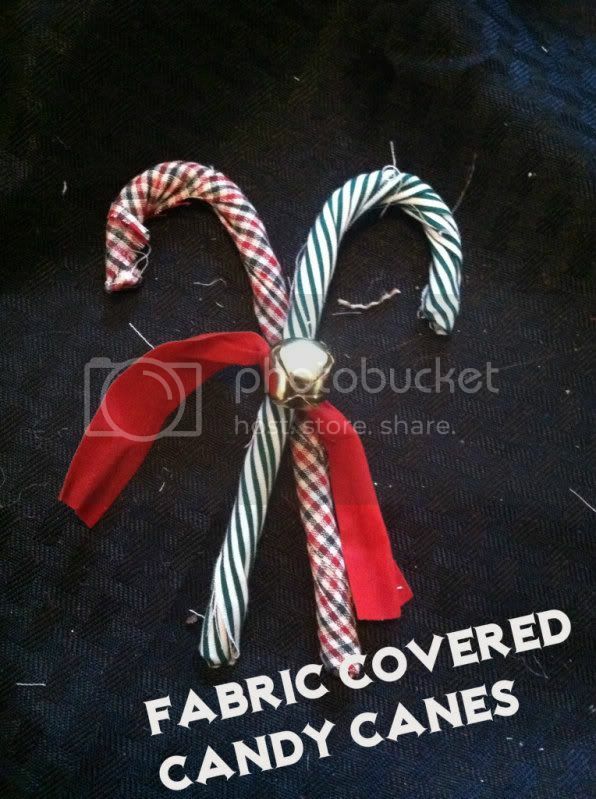 Take two candy canes and tie them together with ribbon. 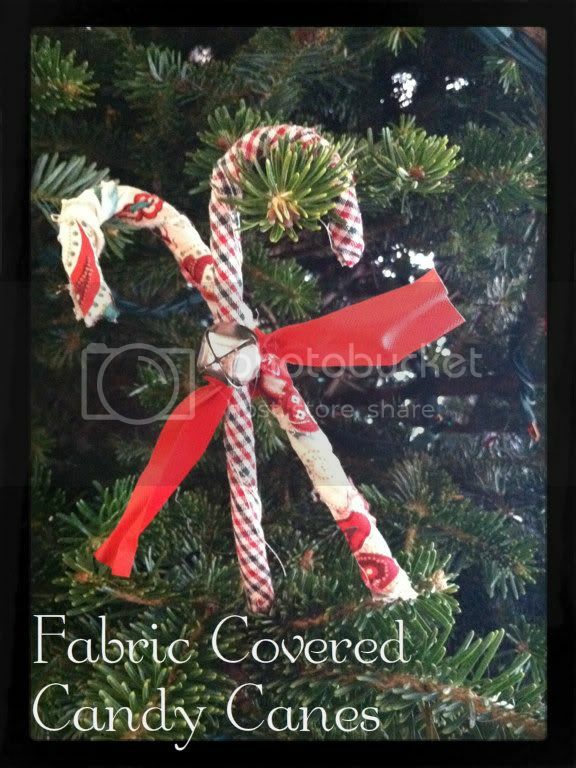 Glue a small bell to the center of the ribbon, covering where you've tied. these are adorable! What a great way to use up scraps, too. Really cute decoration. I love that you can match it to any decor! It really warms them up with the fabric covering. Very rustic and cute! Hey from tessacotton! Love your creation. 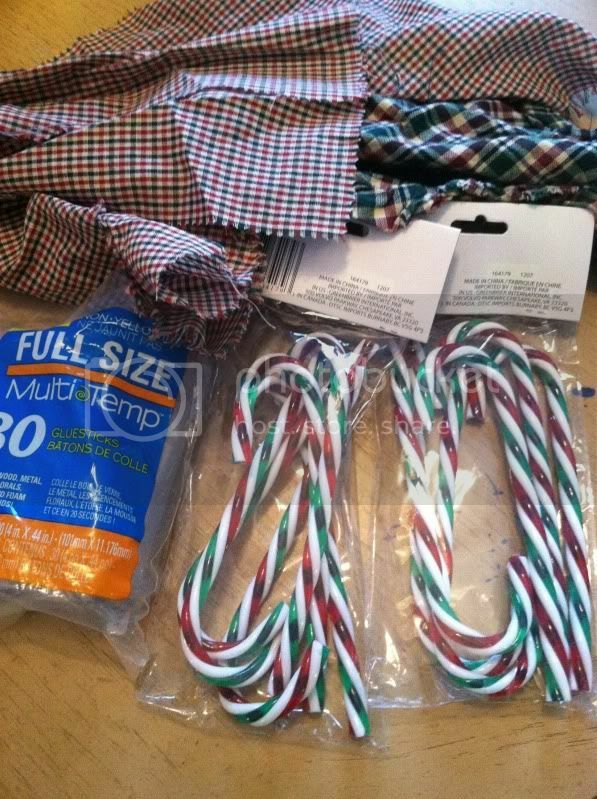 I would be so thrilled if you would link up to my new, Christmas themed linky party!